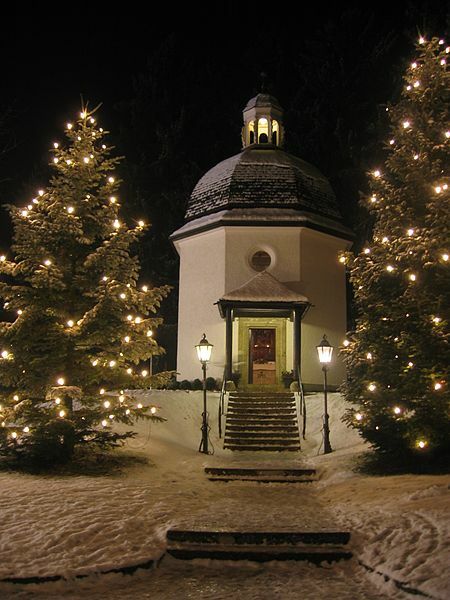 Many winters ago in a tiny village in Austria, the Christmas Carol “Silent Night” was born. In a small church in Oberndorf, the song of peace and heavenly love was first played. Peace would not last though in the land of music. The World Wars came. The destruction was massive. Even after World War II ended there was still suffering among the people. They were without food. Austrian children could not even grow because it was hard finding one meal a day. Without enough nutrition the next generation cannot develop or learn. They cannot make music. 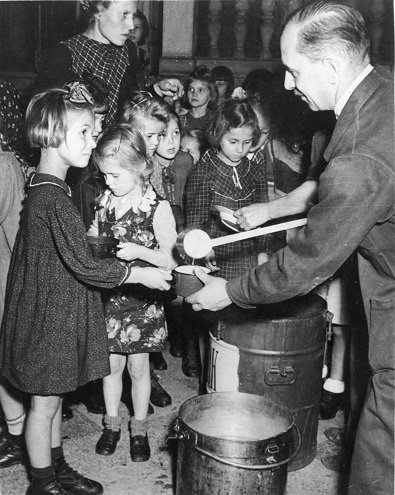 The U.S. Army, Catholic Relief Services, UNICEF and others brought food to Austria for war recovery. Meals were distributed at schools. They tried to bring life back to normal. No easy task. Times would be tough with a major drought in 1947, limiting food supplies. Then “Silent Night” came to the rescue. It was the holidays of 1948 when a woman in New Jersey suggested that every time someone heard “Silent Night” on the radio they donate a meal. This idea was adopted as part of a holiday program, started the year before, where people bought CARE packages for those in need. These parcels of food were sent to Austria and other nations. Like the Christmas Carol that spread worldwide, so too did this plan of feeding the hungry. The holidays could truly be about sharing. This food made a world of difference for the countries who had lost just about everything during the war. Today, Obendorf and its peaceful church lit up at night is a symbol of the peace of Christmas, the “Silent Night.” The war and its starvation are long past. Yet, a world away, at another place of worship, there is a different tale. In the Central African Republic people flock to the church to stay alive and find food. Violence has erupted there among rebel groups. People are constantly on the run for their lives. Their possessions are lost. Farmers can no longer plant. So hunger and poverty now increase. They depend on security from UN peacekeepers and the World Food Program to bring them life-saving rations. But that is only if there is enough funds from the international community to feed them. When you think of Christmas, the holidays, and “Silent Night” think of the Central African Republic. Think of the food and peace they need to overcome conflict and build their society. Think also of the flood of Syrian refugees into Lebanon. They have escaped the civil war in their country only to find a new enemy: winter. They just want a roof over their head and warm meals. What more noble act could be done this holiday then to feed the hungry war victims? Or to bring food and shelter to those in the storm hit areas of the Philippines and other countries. The World Food Program, Catholic Relief Services, Save the Children, UNICEF and many others struggling to bring relief to so many areas in need.